I spent a great day with Lucy and Andy yesterday at their wedding at the Compleat Angler in Marlow. 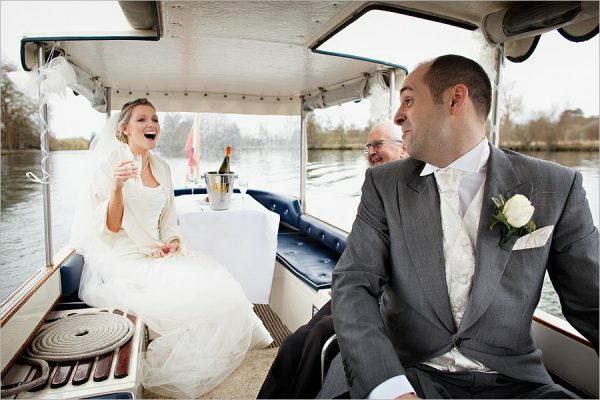 This shot is taken after they had arrived at the hotel and hopped onto the hotel launch for quick cruise on the River Thames, I think it sums up a the relaxed, fun wedding that they enjoyed. More shots from their Buckinghamshire wedding later in the week.